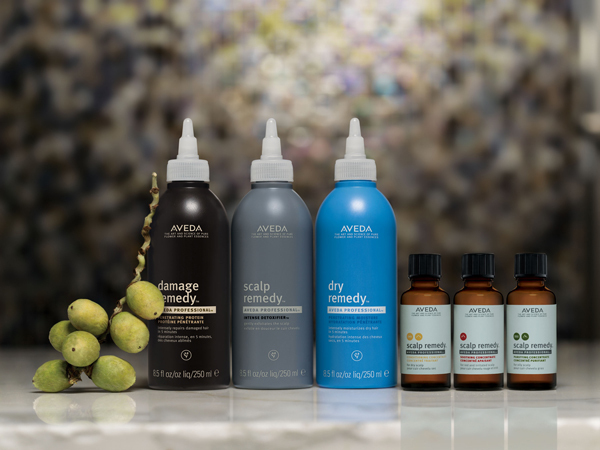 Our plant-powered salon treatments give you luminous, healthy looking hair. How? By tapping the wisdom of Ayurveda (the ancient healing art of India), combining the power of touch with aroma-therapeutic essential oils to create a healthy scalp-the foundation for beautiful hair. Breakthrough plant micro technology penetrates strands for intense moisture or repair with customized treatments to meet your personal needs-restoring balance to the ecosystem of your scalp and hair. Your hair will look healthier and shinier and feel soft and silky. Experience botanical therapy treatments to bring out the full beauty of your hair. BOTANICAL THERAPY SALON TREATMENTS moisture treatment • improves dry hair up to 86%* with the power of buriti and pomegranate oils, leaving strands soft, silky and shiny. repair treatment • improves damaged hair up to 84%* with the power of quinoa protein and sugar beet derived amino acid, leaving strands strong, supple and healthy-looking. scalp balance treatment • features a deep, restorative massage with the aroma-therapeutic essential oil blend that will bring the healthiest balance to your scalp, setting the stage for beautiful hair. scalp detox treatment • deep cleanses, featuring a refreshing massage with wintergreen-derived salicylic acid that gently exfoliates your scalp and removes buildup that may affect healthy hair. hair and scalp treatment • is like a spa for your head. It begins with a restorative scalp treatment and ends with a transformative moisture or repair treatment. Your hair will look healthier and shinier-and feel soft and silky.